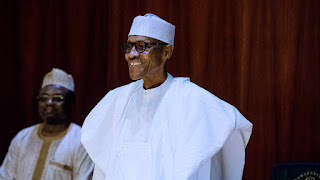 President Mohammadu Buhari Friday said any traditional chieftaincy title holder caught indulging in corrupt practices should be stripped off of his traditional title. Buhari who spoke through his Minister for Youth and Sports Development, Solomon Dalung said his administration will not condone monarch treading the path of corruption. Noting that the traditional institution has vital roles to play in the growth of the country, the idea of well-placed persons bribing their ways to acquired traditional titles, he said must as well be discouraged, as that, according to him will halt corrupt practices. The President praised the Aku-Uka who is the chairman, council of chief in Taraba State and asked people to join hands with his administration to wipe out corruption from the country. Earlier, the Sultan of Sokoto, Sa’ad Mohammed Abubakar, called on Nigerians “to embrace peace and love” adding that “insecurity is the major problem” presently bedevilling the country.